Canadian cannabis businesses would be among the first to capitalize if any other major country takes a meaningful step toward legalization, according to a new report from CIBC World Markets, a subsidiary of the Canadian Imperial Bank of Commerce. 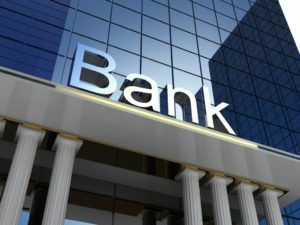 “The movement towards legalization is a global trend that is merely getting started, and there likely are far greater uses for the plant beyond adults choosing to consume the product for leisure,” analyst John Zamparo wrote in the report for the bank’s institutional clients. “We truly believe we are only in the early stages of what will be a global shift on this subject, and could be witnessing a transfer of wealth – from illicit to legitimate markets – that is a rarity in history,” according to the bank’s note to clients, which accompanies the report. The report was issued before cannabis stocks took a nosedive this week. The Canadian Marijuana Index – a basket of stocks representing the cannabis sector – has plunged more than 20%, erasing all of its gains so far this year. “We now believe that the overall sector is likely overvalued, but that there are individual names that are reasonable from a valuation perspective,” the report’s author wrote. Canopy Rivers – the focus of the report – is highlighted as one of the companies offering a reasonable valuation, with “significant earnings upside … entirely possible” and the possibility of a “significant development” in the medical field. “Imagine if the (roughly) $80 billion sleep aid market is wholly disrupted by a line of cannabis-based softgels, or if a similarly sized pain relief market realized that healthier, safer alternatives to the status quo exist in the form of cannabinoid-based treatments. The report was released as CIBC – one of the largest banks in Canada – initiated coverage of Toronto-based Canopy Rivers, a subsidiary of Canopy Growth. Rivers’ shares trade on the TSX Venture Exchange under the symbol RIV.